We provide Gentle Tooth Extractions to get you pain free! At our office, we focus on conservative care and we will only recommend tooth extraction when necessary. We know that the process can seem intimidating, so we keep you well-informed and comfortable throughout the entire process. Sedation options are also available to ensure that you remain calm and at ease during the treatment. 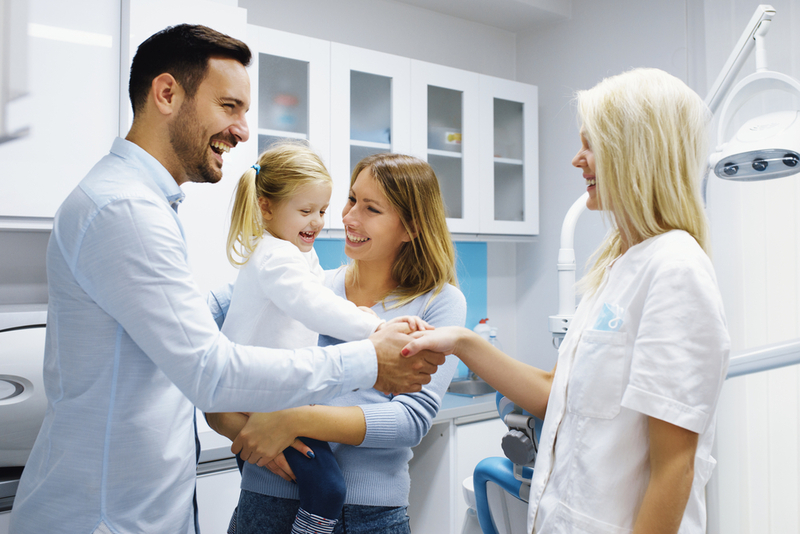 Whether you have a severely damaged tooth or a problematic wisdom tooth that needs to be removed, out extractions are gentle and you can count on us for comfortable care. Why Would I Need A Tooth To Be Extracted? The most common reason for tooth extraction is impacted or improperly-erupting wisdom teeth. In some cases, tooth extractions may also be required if you have a serious case of gum disease that has caused permanent damage to your gums and the roots of your teeth. Tooth removal may also be suggested to prepare for orthodontic treatment or dental implants. If your tooth is infected and cannot be treated with a root canal, or the root canal fails, it may also require extraction. Our wisdom teeth are the third set of molars in our mouths, which usually start to erupt during the late teens and early twenties. While this is a natural part of our oral development, most people do not have enough space in their mouths for these molars to grow in properly. This is particularly true for patients who have had orthodontic treatment. Problematic wisdom teeth may grow in sideways or fail to erupt, which can result in tooth infections. They may also cause overcrowding. For these reasons, most patients opt to have their wisdom teeth removed once they start to come in. However, extraction is not always necessary, so consult with Dr. Naik to find out whether yours should be removed. The process of tooth extraction is very simple. First, your mouth will be cleaned and numbed. You can also be sedated, to help relieve any anxiety or discomfort you may be feeling about the procedure. Then, Dr. Naik will use a tool called a “dental elevator” to loosen your tooth in the root by its socket. Once it has been loosened, she will grasp it firmly with a dental forceps, and pull it out by the root. Then, the area will be cleaned and sutured shut. This process only takes a few minutes and is repeated for each tooth that requires extraction. Contact The Office Of Dr. Priti Naik For Tooth Extractions In Vienna! Tooth extractions are a common dental procedure, and the team at the office of Dr. Priti Naik, DDS is here to help with comfortable treatment. Contact us right away at (703) 288-1800, or visit our office at 8230 Boone Blvd, #320, Vienna, VA 22182 to schedule your consultation.